^ Lubar, Steven (1993). InfoCulture: The Smithsonian Book of Information Age Inventions. Houghton Mifflin. p. 302. ISBN 0-395-57042-5. ^ Aspray (ed. ), W. (1990). Computing before Computers. Iowa State University Press. p. 151. ISBN 0-8138-0047-1. ^ IBM (1956). The Design of IBM Cards. 22-5526-4. オリジナルの2010年8月9日時点によるアーカイブ。. https://web.archive.org/web/20100809095427/http://www.bitsavers.org/pdf/ibm/cardProc/22-5526-4_The_Design_of_IBM_Cards_Mar56.pdf. ^ History.rochester.edu Archived 2010年6月14日, at the Wayback Machine. ^ Plates from: Comrie, L.J. (1932). “The application of the Hollerith Tabulating Machine to Brown's Tables of the Moon”. Monthly Notices of the Royal Astronomical Society 92 (7): 694–707. Bibcode: 1932MNRAS..92..694C. http://www.columbia.edu/cu/computinghistory/mnras.html. ^ Comrie, L.J. (1932). “The application of the Hollerith tabulating machine to Brown's tables of the moon”. Monthly Notices of the Royal Astronomical Society 92 (7): 694–707. Bibcode: 1932MNRAS..92..694C. http://articles.adsabs.harvard.edu/full/seri/MNRAS/0092//0000694.000.html 2009年4月17日閲覧。. ^ p. 405, "How Computational Chemistry Became Important in the Pharmaceutical Industry", Donald B. Boyd, chapter 7 in Reviews in Computational Chemistry, Volume 23, edited by Kenny B. Lipkowitz, Thomas R. Cundari and Donald B. Boyd, Wiley, 2007, ISBN 978-0-470-08201-0. 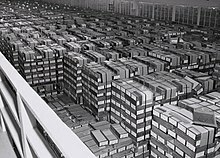 ^ IBM (1953). Principles of IBM Accounting. 224-5527-2. ^ LoTurco, Ed (January 2004) (PDF). The Engineering Aperture Card: Still Active, Still Vital. EDM Consultants. オリジナルの2007年11月28日時点によるアーカイブ。. https://web.archive.org/web/20071128162738/http://www.aiimne.org/library/LoTurcoWhitePaper1.pdf 2007年10月10日閲覧。. ^ Aspray (ed. ), W. (1990). Computing before Computers. Iowa State University Press. p. 142. ISBN 0-8138-0047-1. ^ a b Belden, Thomas; Belden, Marva (1962). The Lengthening Shadow: The Life of Thomas J. Watson. Little, Brown & Company. ^ Lubar, Steven. 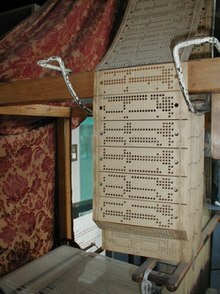 “Do Not Fold, Spindle Or Mutilate: A Cultural History Of The Punch Card”. Journal of American Culture 1992 (Winter). http://design.osu.edu/carlson/history/PDFs/lubar-hollerith.pdf 2011年6月12日閲覧。.